EHLE have released a new range of grinders and this small entry level one is perfect for taking on your travels as it takes up so little space. It easily drops into your packet or bag without any hassle at all and the strong magnets in each half will hold it together while it’s not in use. EHLE have released a new range of grinders and this small entry level one is perfect for taking on your travels as it takes up so little space. It easily drops into your packet or bag without any hassle at all and the strong magnets in each half will hold it together while it’s not in use. It is made of CNC’d Zinc so it is really tough and the diamond shaped teeth will grind and crush up your material to the perfect consistancy. The pollen catcher screen lets all the precious resin sacks collect in the base so you can save them for when you want to make the most of them. The EHLE logo is laser engraved into the lid for a finishing touch. 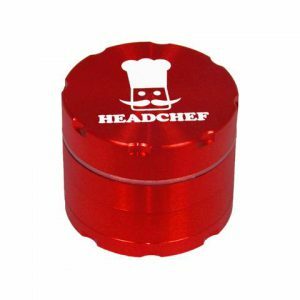 This may be the medium sized grinder from EHLE but at 63mm in diameter it is still pretty hefty and will grind up big buds with total ease. The CNC Aluminum body is rugged enough to take a beating without it even leaving a mark and the chunky diamond shaped teeth will shred anything you choose to put in there. They give you a plastic pollen scraper to scoop up all the resin powder that collects underneath the sifter screen so you can use it later when you want an extra hit. 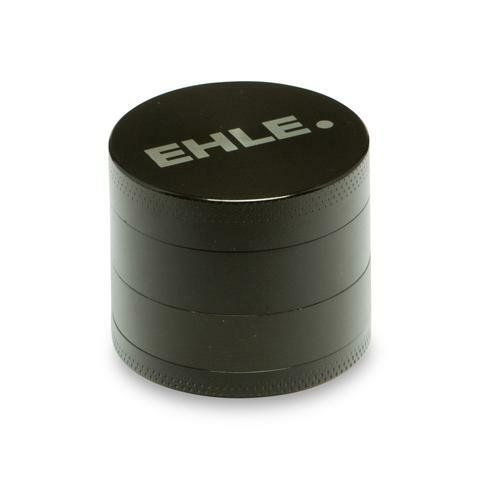 The EHLE logo is laser engraved into the lid and a pair of strong magnets hold the two halves of the grinder together when you are not using it. 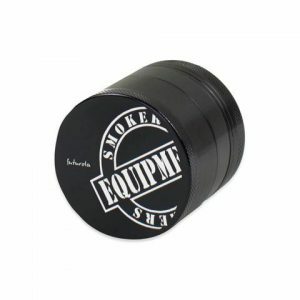 The daddy of the EHLE grinder range is a huge 75mm in diameter and boasts a cutout section in the lid which perfectly holds a pack of 1 1/4 size papers. The CNC Aluminum body is strong enough to stand up to pretty much any abuse and has a pair of rare earth magnets holding the two halves of the grinding section together. The teeth are blade shaped which means this thing slices even the densest material up cleanly and the sheer size means it can grind up insane amounts of material in next time no time at all. Once ground up finely enough the herbs fall through into a collection section with a sifting screen in the base which seperates out any resin that might have fallen off during the grind so you can save it for later. They give you a pollen scraper for getting the pollen out and they finish it of with a laser engraved EHLE logo in the lid.